The quiet, clever, and capable Colorado offers nearly as much utility as full-size pickups—minus the lane-hogging size. A 2.5-liter four with 191 lb-ft of torque is standard; optional are a 3.6-liter V-6 (269 lb-ft) and a 2.8-liter turbo-diesel four (369 lb-ft), which has a maximum towing capacity of 7700 lb. Other choices are extended or crew cab body styles, two bed lengths, and rear- or four-wheel drive. A six-speed manual is available on base models, while others get a six-speed automatic. Colorado offers three ideal engine options to help you get back and forth from the city to the countryside. First up is the 2.5L I-4. Ingeniously designed, this gas engine offers three of the best numbers for midsize trucks. This includes Best-In-Class 4-cylinder gas horsepower, torque and fuel economy with 20 MPG in the city and 27 on the highway.1 Or if you need pulling power, upgrade to the 3.6L V6 that offers a Best-In-Class 7,000 lbs. towing.2 And if you are looking for the best of both worlds, you’re going to want to try the Duramax® 2.8L turbo-diesel. Aside from performance, Colorado is the first midsize truck to offer 4G LTE Wi-Fi®3 making it ideal for city driving and weekend adventures. It also offers support for Apple CarPlayTM4, so you and your passengers can play music and hear texts through the speakers. 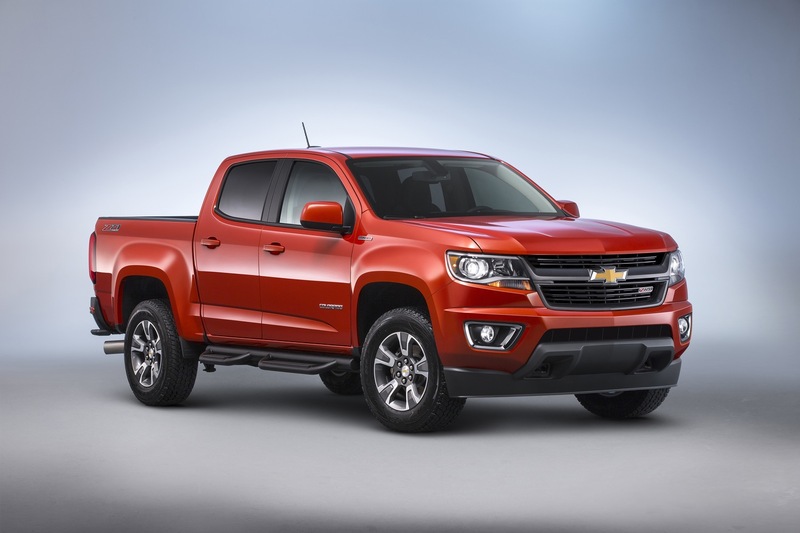 Not only is the Colorado innovative, it exceeds expectations in safety. The rear vision camera comes standard. And available Forward Collision Alert5 and Lane Departure Warning5 can help prevent collisions before they happen. All in all, you know you want a truck. This one.